Take this American home classic to the next level with windows and doors that complement its signature style. American Craftsman style and bungalows are variations of an affordable housing type that swept across America in the early twentieth century. 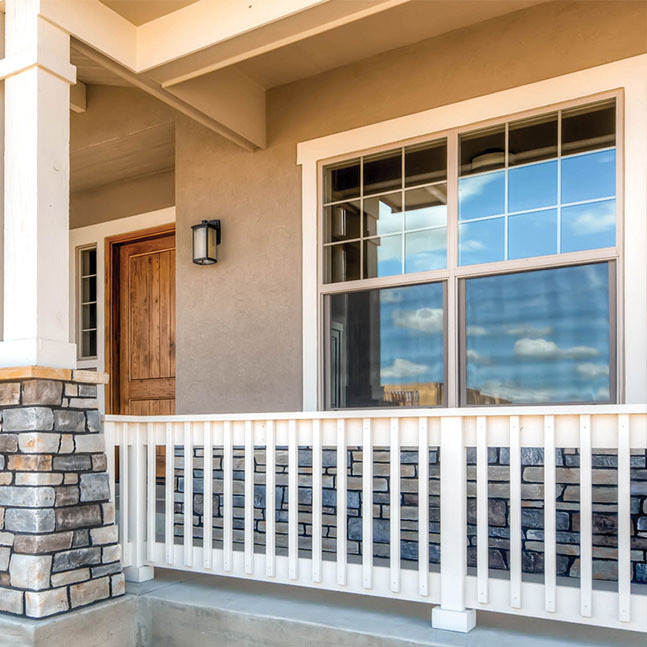 Distinguished with a front porch, tapered square columns, and an open floor plan, craftsman and bungalow homes are ideally suited for mild climates. The style was initially marked by its modernity and to break away from the ornate Victorian style homes. Craftsman bungalows are now popular with homeowners who want to restore a historic house, as many are over 100 years old. Many of these homes have decorative wooden features that replacement windows may match or complement. Double Hung windows are a traditional choice for this style. Pair these windows with casement and awning windows to help create the patterns typically associated with Craftsman Bungalow style houses. Window combinations are often seen in groups of two or three. 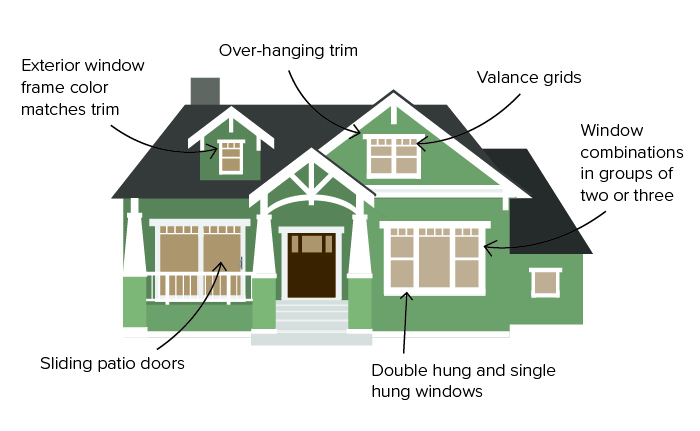 Over-hanging trim usually matches the exterior window frame color, which collectively contrasts against the home’s siding color. White is a popular choice against a colored siding, but darker frames can make the windows pop. Looking for a different color? Click here to see all fiberglass color options and here for all of our premium vinyl colors. Valance grids are a popular choice in this style to accentuate the decorative elements of the home. 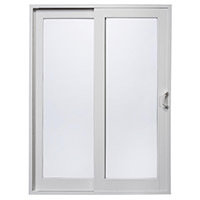 When ordering Milgard windows, you can specify the number of lites across and the grid height you prefer. 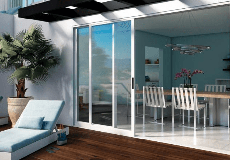 French sliding patio doors can be a great addition on the front porch or to the back yard. In addition to adding convenience, they help bring more daylight into the home. 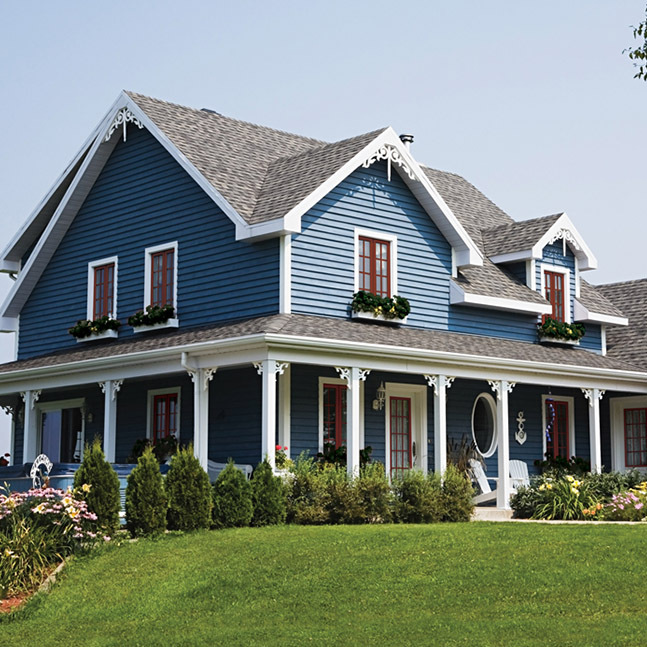 Essence Series offers the durability of fiberglass exterior with the classic Craftsman Bungalow style of wood interiors.